"Beautiful, spacious, well equipped apartment in a great location." "Folle Blanche was incredibly spacious! I was also very surprised to have a Eiffel Tower view. Great layout, plenty of natural light throughout the apartment. "We were delighted with our accommodations at Folle Blanche from start to finish. Our greeter showed us all the "ins and outs" literally when he handed over the keys. Our location was perfect, close..."
"Perfect stay for us. I loved that the bedroom was tucked in the back. My friends used the trundle and were able to lie down and watch the twinkling Eiffel Tower. The washer and dryer were great...."
"It was a great location for a great price." 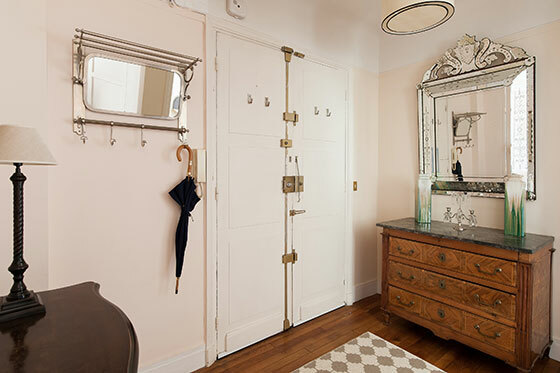 One of our most sought-after apartments, the Folle Blanche captures all of the romance and beauty of Paris. This large 1 bedroom, 1 bathroom apartment is decorated in a soft French country style and offers the additional comfort of air conditioning for warmer days. The added bonus of direct views of the Eiffel Tower from the living room makes for a truly magical trip. 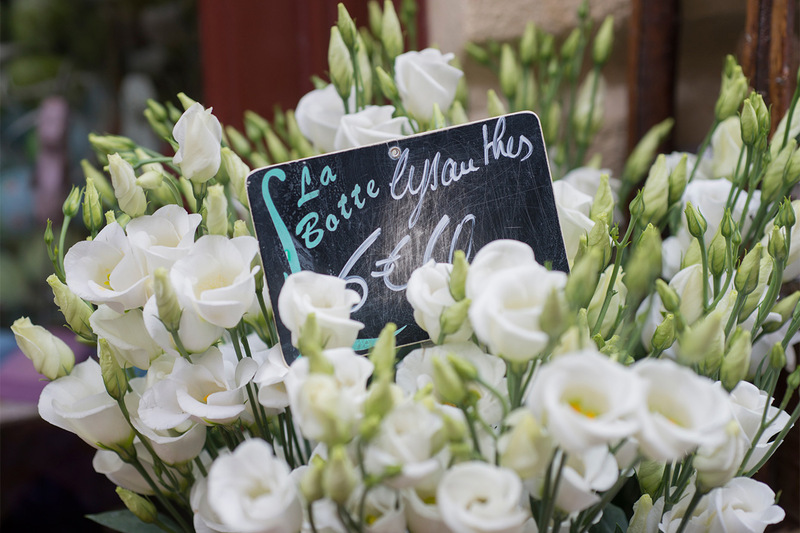 The Folle Blanche is located in one of the most sought after neighborhoods in Paris, and is surrounded by cafés, shops, restaurants and open markets. 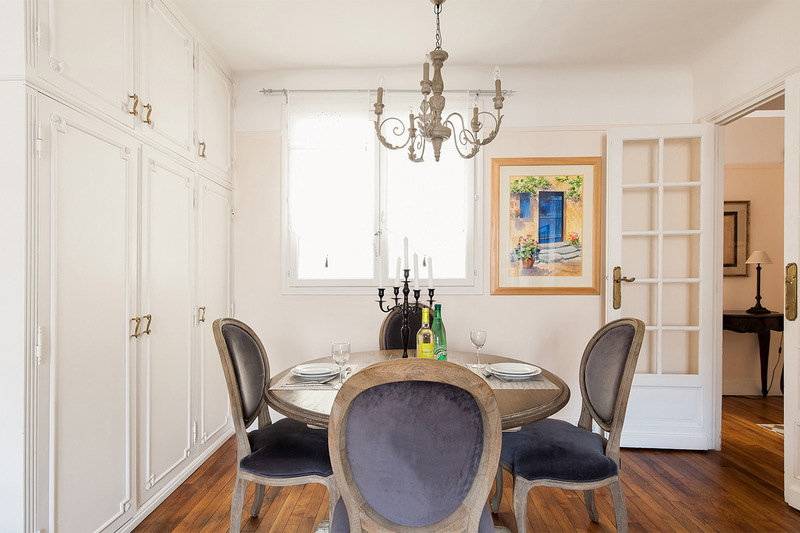 Whether you're coming to Paris for your honeymoon, a surprise engagement, an unforgettable anniversary or birthday celebration, book this Paris Perfect apartment for the perfect setting and memories of a lifetime. 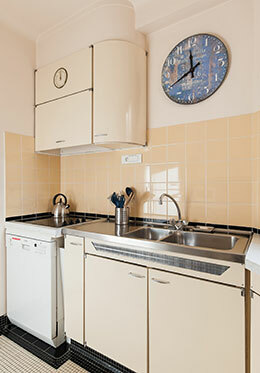 Fully equipped kitchen with pans, pots, cookware, dishes, glassware, linen, and so on. 2 Televisions with cable for receiving English-language channels. 1 in living room and 1 in bedroom. Pampering: Beauty spa available at the nearby Four Seasons Hotel. We can also recommend hair colorists/stylists in the area and masseurs who will come to your apartment. We hope you had a wonderful stay in our Folle Blanche apartment. Please take a moment and click here to share a review of your experience with us. "We were delighted with our accommodations at Folle Blanche from start to finish. Our greeter showed us all the "ins and outs" literally when he handed over the keys. Our location was perfect, close to everything one would need for a week's stay. We really appreciated the..."
"Perfect stay for us. I loved that the bedroom was tucked in the back. My friends used the trundle and were able to lie down and watch the twinkling Eiffel Tower. The washer and dryer were great. Having a bathtub was so nice and the shower had plenty of nice hot water. We had coffee every morning..."
"This is simply an amazing apartment with plenty of space for four, an awesome location, and great furnishings. It's nearly in the shadow of the Eiffel Tower and a short 10-minute walk from Rue Cler--a visitor-friendly pedestrian street. On a hot summer day, the air-conditioning units in two rooms..."
"We would recommend your team 100% of the time. There was very good follow up by your entire staff. The large Folle Blanche apartment was outstanding, clean and well laid out. We took three tours: Versailles, the Latin Food Tour, and Reed Cooking Class. All were truly wonderful. Reed..."
"We would recommend your team 100% of the time! The apartment was outstanding, clean and well laid out. We took three tours: Versailles, the Latin Food Tour, and the Reed Cooking Class. All were truly wonderful. Reed Cooking Class should be a must for everyone. The booklet they emailed to us before..."
"Our apartment was wonderful. We had everything that we needed and it was clean and in good repair. We were very comfortable. The location was excellent." 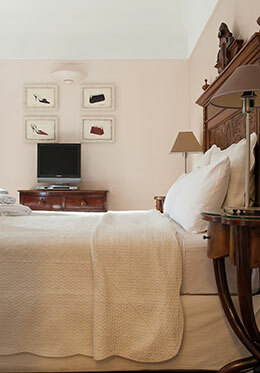 "My sister and I thoroughly enjoyed the Folle Blanche apartment in early November. The apartment was spacious, beautifully decorated, and so clean. What a treat to have some windows opening onto a beautiful avenue and others opening onto the courtyard in the rear of the building. "The apartment was roomy and functional. 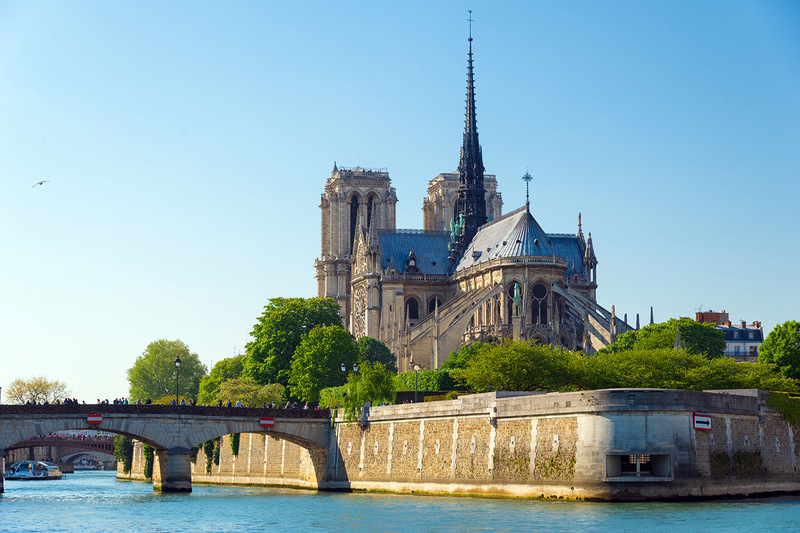 It was located in a great area which was a short stroll to the Eiffel Tower and the River Seine. Many quaint restaurants were located in the vicinity. We would stay there again mainly because of the location." 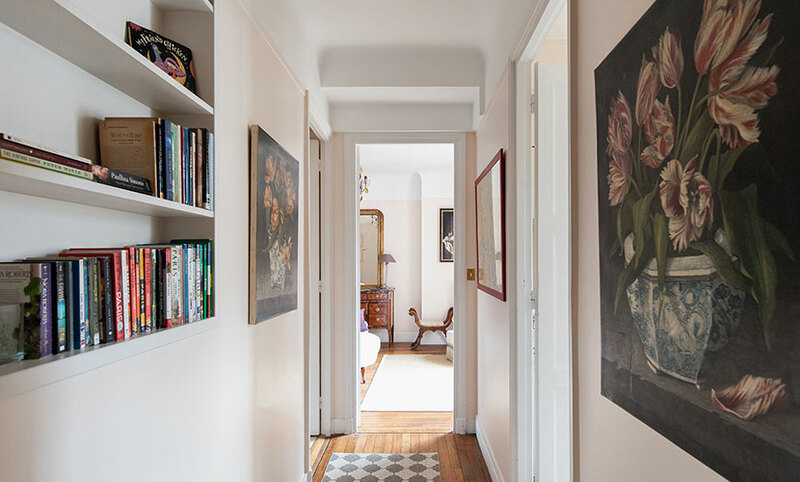 "The Folle Blanche apartment is a great place to stay in the 7th - it's convenient to so many of Paris' best sites, including the Eiffel Tower. 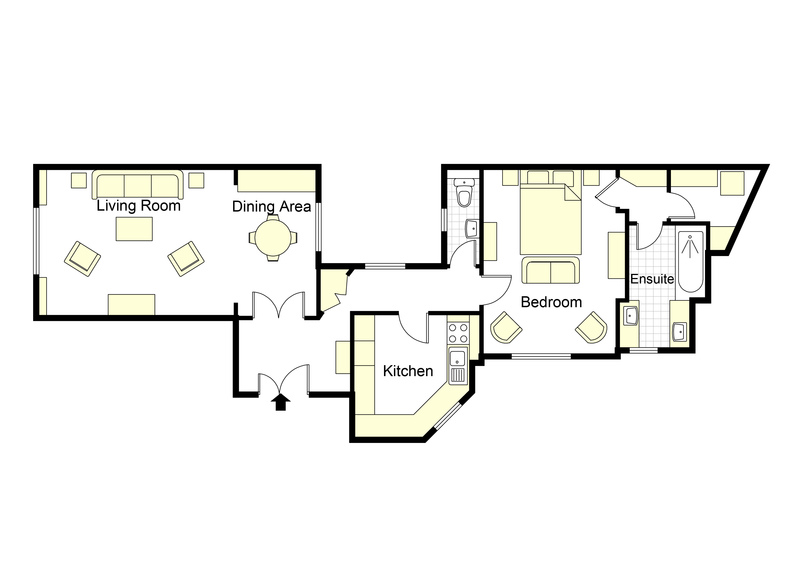 The layout of the apartment is very nice and there's even a separate washer/dryer pair! 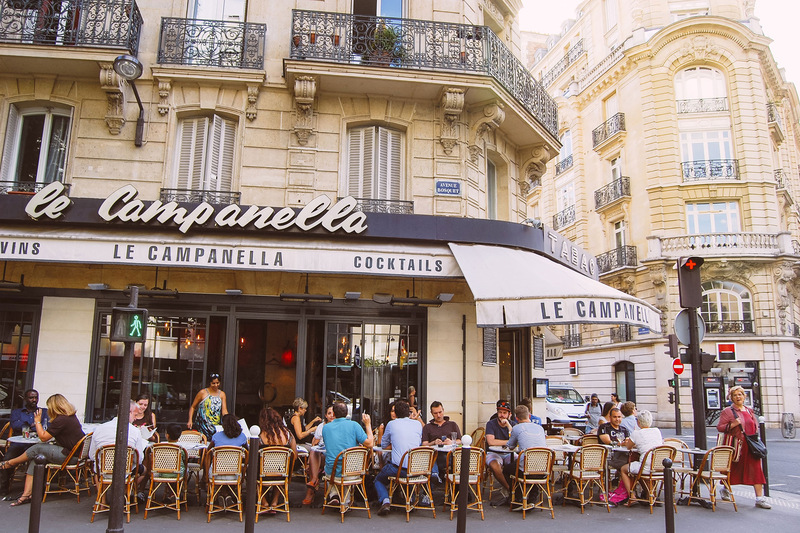 There are quite a few restaurant choices within a..."
"I have stayed in Paris many times in different locations and am an experienced traveler. This was one of my best experiences with Paris Perfect at Folle Blanche. The location was especially convenient in the 7th arrondissement since we could walk to the most important locations. There were ATMs on..."
"Loved the Folle Blanche! It's such a beautiful apartment, with lots of room, a beautiful bathroom, lots of hot water, a great kitchen and in a lovely building! I parked our 2 chairs in front of our amazing view and started and ended the day with my own personal view of the Eiffel Tower. Amazing!..." "My two sisters and I enjoyed every inch of the Folle Blanche. The entire unit was exactly as portrayed online and exuded with charm and character. Located a short walk to the Eiffel Tower and it's towering and majestic presence. 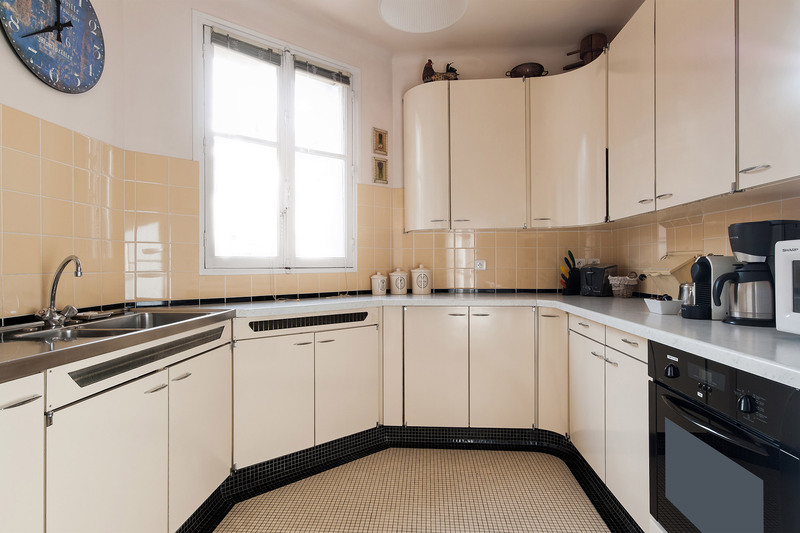 Delightful neighborhood cafes, local boulangeries, and patisseries..."
"This is such a comfortable apartment, every detail is taken care of, it's in a perfect location and the Paris Perfect team took very good care of us." "All I can say is wow! We had the best time in Paris. A large part of the wonderful experience was returning to our lovely apartment at the end of each evening and seeing the twinkling lights of the Eiffel Tower in the distance and also waking up to this great view! "We loved staying at the Folle Blanche. This beautiful apartment has all the amenities you need. We loved the location and the gorgeous view of the Eiffel Tower. It made us feel like Parisians!" "What a wonderful location! I loved the details provided ahead of the trip. I would highly recommend Paris Perfect and this neighborhood." we have rented twice in the past. But now I think Folle..."
we have rented twice in the past. But now I think Folle Blanche will..."
"This was my third stay at Folle Blanche and I loved every minute, it felt like a second home - enough cupboard space, a perfect layout, a comfortable bed and furniture, a spacious kitchen and a lovely view of the Eiffel Tower. The location is perfect, especially since I brought my mom who didn't..."
"We spent the last two weeks of December in Folle Blanche. Paris at Christmas time is very nice. The apartment has a lovely view of the Eiffel Tower. The neighborhood around Folle Blanche is family oriented and has a very safe feeling. There are many good restaurants in the area. In addition to the..."
"Paris Perfect is truly that, perfect. My 2 daughters and I were impressed with Paris Perfect from their quick and courteous response to our initial inquiry to our departure. They recommended a taxi service and I'm so glad we used them. The driver met us at the Paris Eurostar holding a sign with my..."
"What an absolutely marvelous apartment in the perfect location! Close to the bus stops and subway/trains. And more importantly, four - yes that's right - 5-star restaurants were within walking distance. Patisseries, meat markets, fruit and vegetable markets, everything one needs to love life in..."
"The information provided was very useful, especially the restaurant and bus information. Thank you for making our stay so pleasant!" "The apartment was great and met all our needs. It was well appointed and located and had all the needed amenities. The team was fantastic from the initial reservation, ongoing communication, greeting and handling any details while we were here." 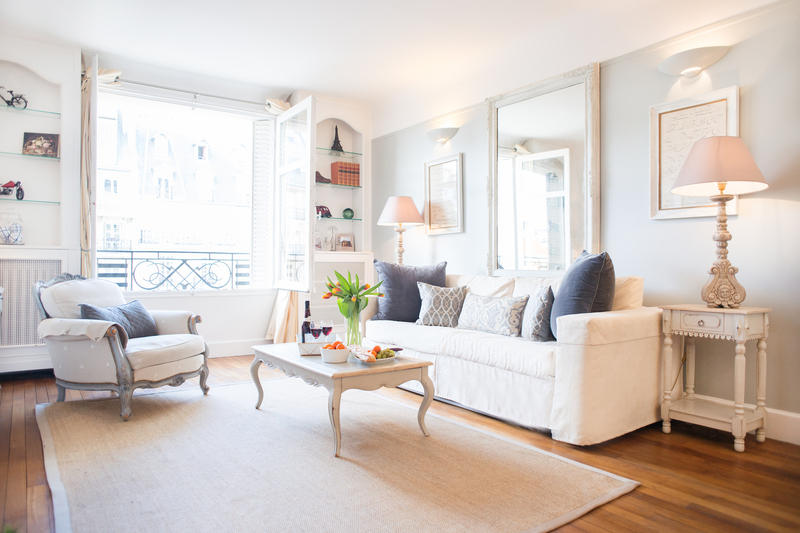 "The apartment was wonderful and had a Paris feel to it! Our greeter was great. The overall process was easy. I felt very comfortable coming to Europe for the first time." "Everything was marvelous - an excellent location and very clean and comfortable, even though it's a one bathroom apartment. The building was quiet and for cooks was ideal...since it has a huge beautiful kitchen. 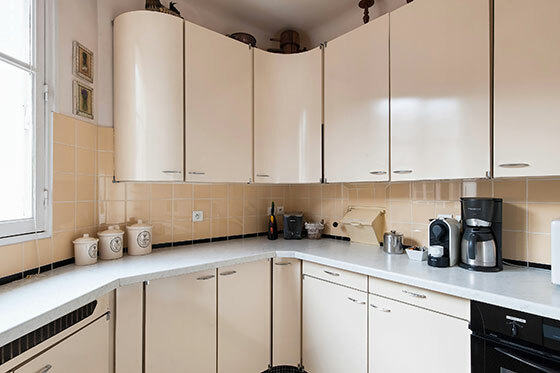 We love the organization and we have also been to Pouilly, a fully air-conditioned unit..."
"This was our fifth stay in a Paris Perfect apartment in the last four years which, in itself, is a testimony to the very favorable experiences we have had. Firstly, the apartments are exactly as portrayed on the website - wonderfully comported - and that is based on staying at four different..."
"The apartment is great and all the information was helpful and accurate, well done. The team was perfect." "We had a wonderful 2-week stay in 2013 over Christmas and New Years. We've rented apartments in Paris before, but this was the best. The apartment was more spacious than we expected. It was nicely decorated and with all the amenities we needed to feel like we lived there. 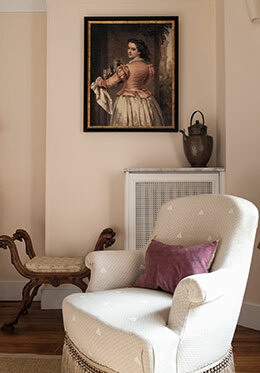 "We have just returned from Paris (10 days) and what a wonderful unique stay we had at Folle Blanche. From the greeter informing us of how appliances work in the unit to Paris Perfect and the owner providing a comprehensive detailed booklet/map and local places to visit/eat/a hair stylist and local..."
"This was our first trip to Paris and our first experience with Paris Perfect. I have only great things to say about both! Paris was wonderful, and enhanced by staying at this fabulous apartment. The location was perfect and the apartment was exactly as pictured. No surprises here. "We stayed at the Folle Blanche with our adult daughter. This was our 5th stay with Paris Perfect apartments. The Folle Blanche was great - it is very large for a one bedroom apartment and the living room functions as a second bedroom at night. 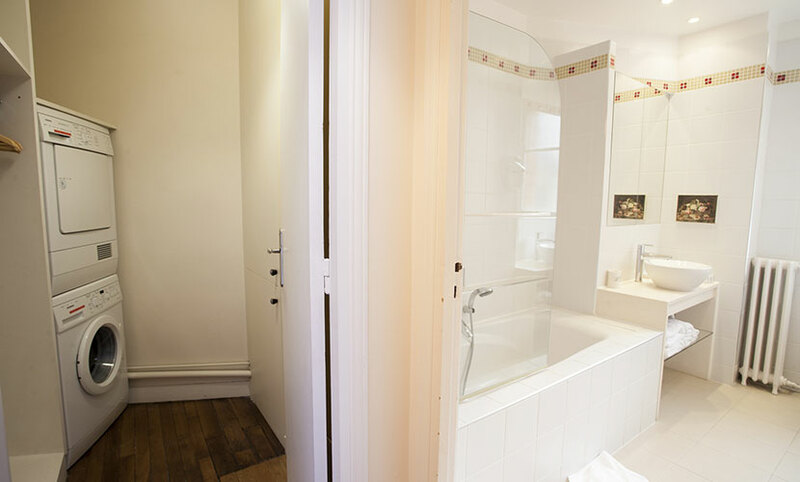 The WC is between the two rooms so neither..."
"This was my second time staying in the lovely Folle Blanche apartment and I would love to return again next year! The apartment is really spacious according to Paris standards and fully equipped with everything we could possibly need during our stay. 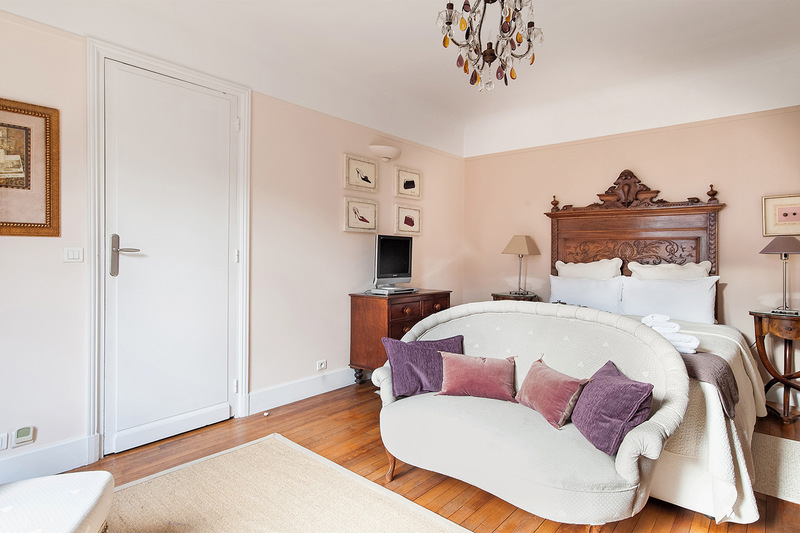 We just love the location and..."
"We stayed at the Folle Blanche apartment with our adult daughter for a week in November and were extremely pleased with everything about it. We had looked forward to some nights staying in and watching TV after long days of walking so it was important to us to have a nice lounge setup. The three of..."
"We loved Folle Blanche! Have always stayed in hotels in either the 1st or the 5th or 6th arrondissement - and while they were all wonderful in their own ways, the neighborhoods were obviously more touristy. The location was great for feeling like you lived in a real neighborhood in the city. There..."
"We loved Folle Blanche! It met all of our expectations. It's very clean and bigger than I expected. The location in the 7th arrondissement was perfect. Almost everything we wanted to do was in walking distance. The view of the Eiffel Tower was breathtaking! We ate breakfast at rue Cler..."
"What a lovely apartment! We stayed in Folle Blanche for over a week in Sept/Oct 13 (my wife, I and our two daughters 3 & 5). The location, building complex, apartment and the Paris Perfect team were excellent. What you see on the website is really what you get. No surprises. This is a beautiful..."
"Paris Perfect is truly "perfect". Outstanding service, a great attitude and a wonderful apartment were just a few things that set them apart from other companies. It was great that we had a place to temporarily store our luggage until our apartment was ready for check-in in the afternoon..."
"We thought that the apartment met our high expectations in all ways. We would enjoy staying there again." "The Folle Blanche apartment was great! The location was perfect and easy to get to the RER, Metro, and to the buses. It really is a short walk away from the Eiffel Tower. 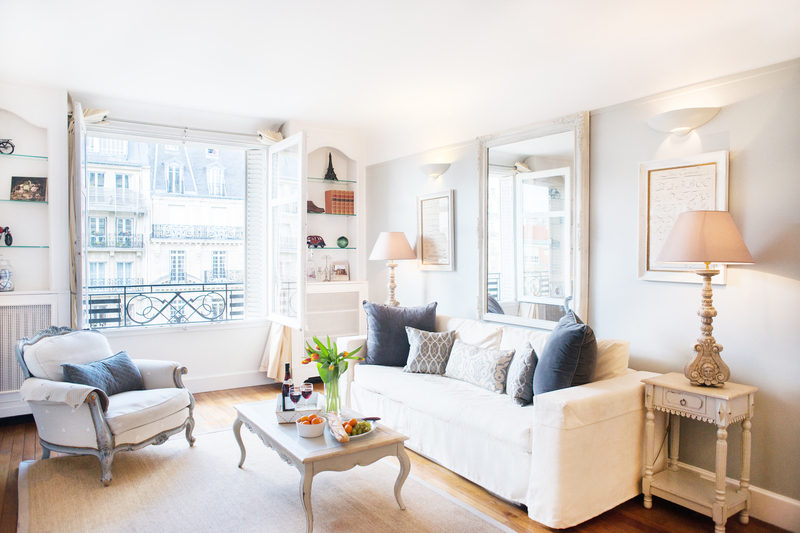 The size of the apartment was just right for my mother and I. I was concerned that it might be too small but it..."
"Thank You, Paris Perfect! Everything was very professionally handled. We felt most welcomed. And, the apartment Folle Blanche was totally wonderful. My wife, an interior designer, loved the decor, layout and amenities. The location in the 7th arrondissement was great - there was a view..."
"We really enjoyed our stay in Paris. The Paris Perfect team gave us first-class service. The apartment was clean and very comfortable and the location was great. PP leaves a handbook in the apartment with all sorts of helpful information and recommendations. The neighborhood shopping..."
"We have rented from Paris Perfect many times in the past. Folle Blanche is our favorite apartment. Spacious, nicely laid out for comfortable living and well-appointed, Folle Blanche was the perfect place to stay as we enjoyed our two weeks in Paris. We'll be back!" 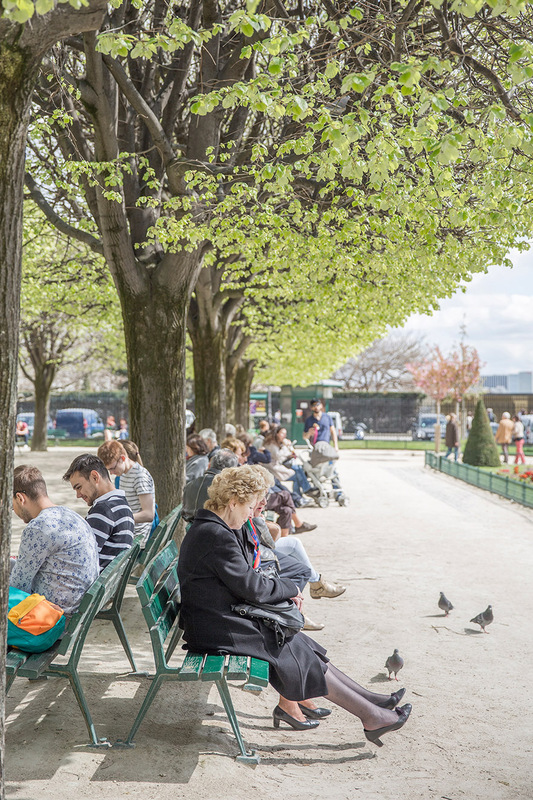 "This was a wonderful way to experience Paris for the first time. The apartment was beautiful and close to major sights and shopping. Paris Perfect representatives were very helpful. We will return!" "We spent a very nice vacation in Paris! The apartment was in a great location. It was very clean and everything worked well. We especially appreciated the information packet you sent and ate at many of the restaurants you recommended. Everyone at Paris Perfect was polite and helpful...."
"We were very pleased with Paris Perfect and will think of this organization first when looking for accommodations in Europe. Their service is excellent. The preparations they make for your welcome are superb and help you feel at ease and at home right away. "My daughter and I planned a trip to Paris to tour universities and wanted an authentic Parisian experience. Paris Perfect was wonderful in making that happen for us! The entire experience with them was flawless. Being a world traveler, I have come to greatly appreciate this..."
"This is the second time that I have stayed in the Folle Blanche. The first time was with my daughter after she graduated from college, and now five years later my husband and I stayed there with my daughter and her husband. It was perfect! Because of the layout of the place everyone..."
"What a delightful way to spend our first visit to Paris. My daughter and I had a fantastic time in Folle Blanche. The location was great and the apartment so very cozy and comfortable. We had some miserable weather but always had "our" apartment to return to, to relax and..."
"We booked with Paris Perfect and are so glad we did! My sister recommended them and they surpassed my expectations. Folle Blanche is lovely - so much better than a small hotel room. We felt very Parisian coming home to our apartment. 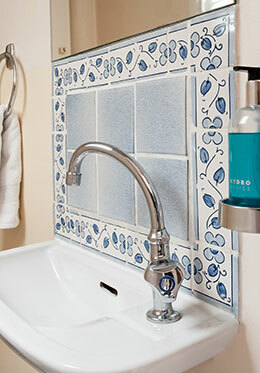 The location was great with easy access to the..."
"We really enjoyed our stay with Paris Perfect at the Folle Blanche. It's a wonderful, cozy apartment in a spectacular neighborhood. The cafes were excellent as well. Paris met and exceeded our expectations. Thank you!" "Wow! What a lovely apartment, it exceeded our expectations. We found everything we needed with ease. We couldn't have chosen a better location. 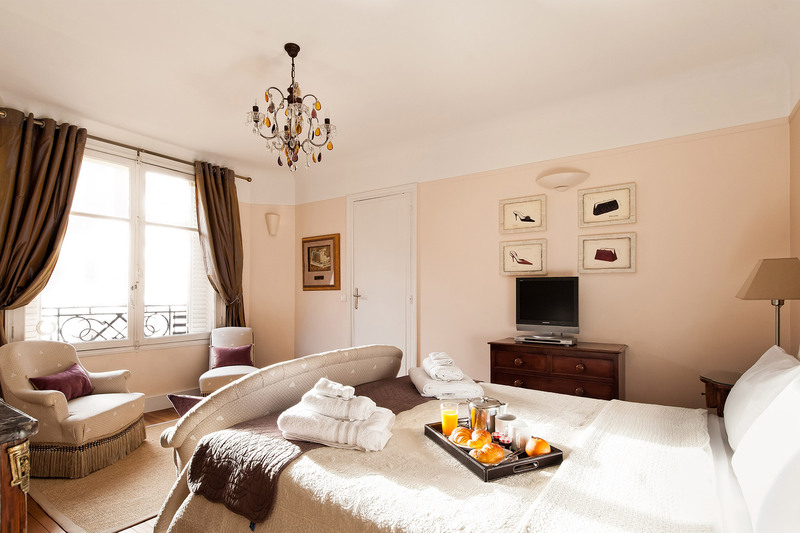 Folle Blanche is so close to the Eiffel Tower and serviced well with transport to many other Paris attractions only meters away. "Had a wonderful week in Folle Blanche. We loved the apartment and its location - what more could one ask for? This was our fourth rental in Paris - 2nd with Paris Perfect - the only way to go! We'll be back." "Folle Blanche was exactly as described: beautiful decor, convenient location, clean, large, comfortable for family and quiet. It was very close to the bus line taking you to most major sites easily. It was a great neighborhood for strolling and soaking up the atmosphere. "The apartment exceeded our expectations in terms of space, style and comfort. This was the first time we rented a vacation apartment but it won't be the last - enjoy your stay in this perfect apartment!" "Thank you for your excellent service! We will keep your firm in mind for future stays in Paris." "Thank you Paris Perfect staff for helping make our Paris trip so memorable. The welcome and information we received on arrival couldn't be improved. We will definitely recommend Paris Perfect to all friends and family." "My family of four stayed at Folle Blanche for 6 days in June. 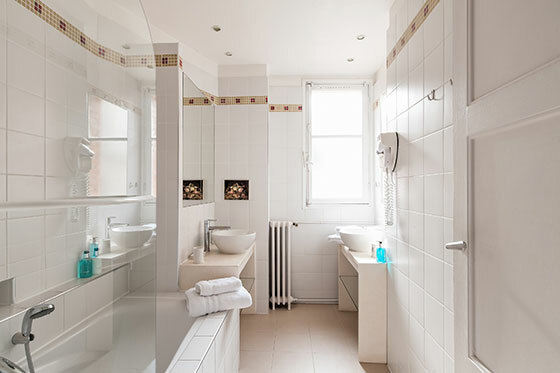 The Paris Perfect people could not have been more accommodating or more thorough in making this easy - from suggestions/guidance on preparing for the trip, where to eat, what to see, where to shop, to help with transportation to and..."
"We loved our Paris Perfect Folle Blanche apartment! The location was wonderful with 2 of our favorite restaurants right around the corner and the Eiffel Tower so close by. The apartment itself was lovely and beautifully clean. Your staff could not have been more helpful and kind. All in all,..."
"This was our first experience of staying in an apartment rather than a hotel in Paris. Although rather more expensive we found the extra space and facilities more than made up for the cost. Everything was there and the location was ideal - we did not eat in too much as there are so many good cafes..."
"Lovely, perfect, romantic 10 days in Paris. We loved the apartment, loved the location and the city." "Very comfortable and convenient. Good shops, cafes and restaurants in the area. Looking forward to our next "Paris Perfect" apartment." "April in Paris! It was simply magical. Every day and evening was warm and everyone was enjoying the wonderful weather. We loved exploring our neighborhood and especially food shopping. The best treat at the end of each day was returning to our Folle Blanche apartment. It was spacious and relaxing..."
"This is the second time we have used Paris Perfect. Our stay was thoroughly enjoyable! The weather was glorious each day and we loved exploring Paris. We enjoyed the neighborhood especially for food shopping along Rue Cler which we could walk to. At the end of each day the very..."
"Folle Blanche's location was perfect in the 7th district. The neighborhood is so much fun with nice restaurants and shopping nearby. My wife is very picky about accommodations but she was happy with Folle Blanche! The size of the apartment was not too small and my son could sleep..."
"We had a great stay in Folle Blanche. The apartment was close to so much and the staff was great. Recommend "Fat Tire Bike" tours." "This was our second time to Paris after 8 years. My wife and I had the time of our lives and we loved the seventh district. The apartment is lovely and the location was perfect. We visited with our son who is studying in Paris for 6 months so we had a translator for the visit. We..."
"My teenage granddaughter and I had a wonderful 10 days in the beautiful Folle Blanche apartment. Everything was as described or better - roomy layout, elegant and comfortable furnishings, great kitchen with nice appliances and everything spotless and working well. The building itself was also very..."
"My first trip to Paris in fourteen years was so lovely, staying in this wonderfully spacious apartment with my granddaughter (13). We felt really at home, with the space, the lovely details, the convenient shops and the local buses. Thank you, Paris Perfect staff." "We were in Folle Blanche in Jan 2008 and it was just as perfect this time. The apartment is so comfortable we felt it was our home away from home in Paris. We wouldn't do it any other way. It was a wonderful vacation made even better by the excellent Paris Perfect staff. We are always sad to leave..."
"Our stay in Paris was lovely! We had such a great time and Paris Perfect was a big part of it. The apartment couldn't be better, it definitely exceeded our expectations. We hope you enjoy it as much as we did." 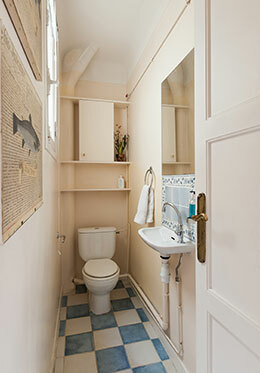 "Folle Blanche was a lovely and comfortable apartment with plenty of space for the two of us. It is a little larger than it appears on the website. We had a great view of the Eiffel Tower. The kitchen was roomy and well-appointed for cooking, which we did 3 nights, shopping like a..."
"The apartment was great. It was very well appointed and we really appreciated the free Wi-Fi and calls to the US. We wish we had had more time to take advantage of the kitchen and dining room and had intended on cooking a few meals at the apartment; however, we ran out time to do this. 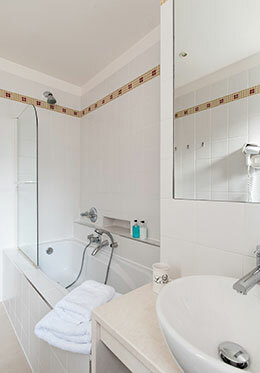 "Another delightful stay in this apartment for three - Folle Blanche - three in other Paris Perfect apartments. It was perfect! See you next year." 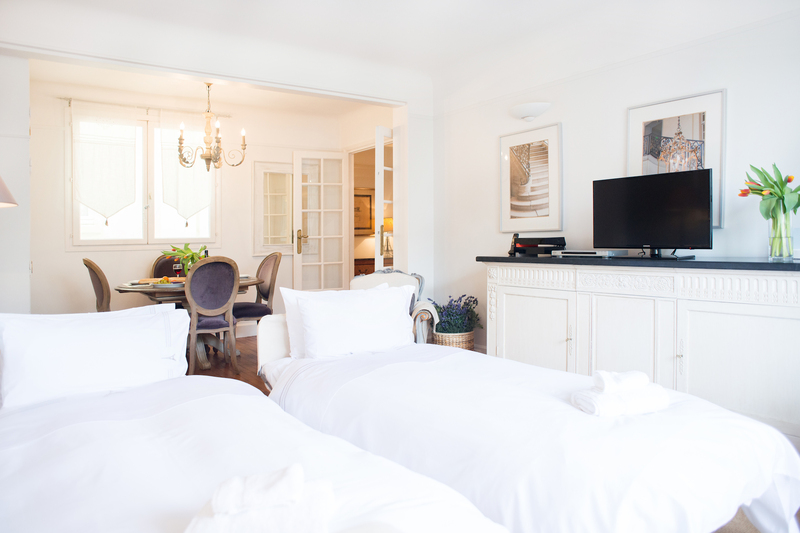 "A girlfriend and I stayed for 8 nights at Folle Blanche in the 7th Arrondissement. The location was perfect, and the apartment was delightful. We felt very secure day and night, and the building is immaculate. 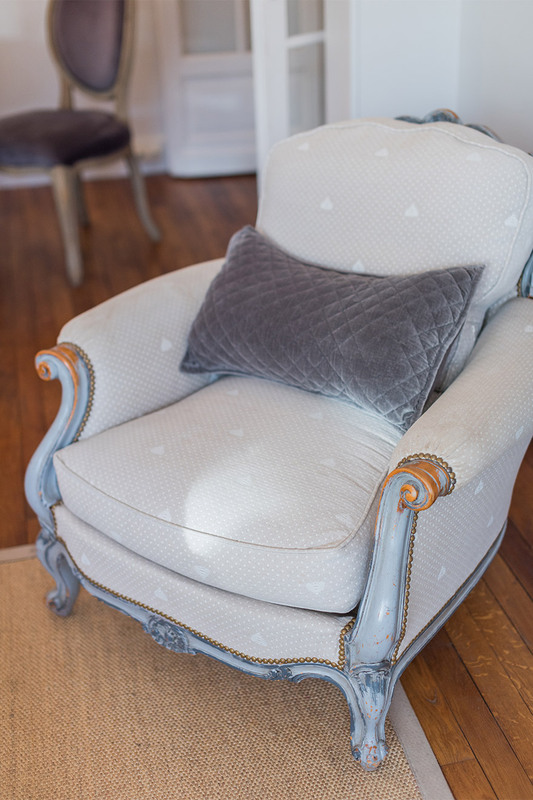 The rue St. Dominic area and the rue Cler shopping district are a walk away..."
"We absolutely loved the Folle Blanche apartment. It was perfect for the three of us. It was fabulous to have a greeter help us into our apartment and show us around. The Folle Blanche allowed us to have our own personable space. Our son slept on the pullout couch, while we had the..."
"This is the best way to stay while in Paris, especially when traveling with children. The apartment's location was perfect and the staff was extremely helpful. We will definitely use Paris Perfect when we travel to Paris again." "We stayed in Folle Blanche from late June until July 31. This was our second stay with Paris Perfect. Our first similar stay was in 2009 for about the same length and again at Folle Blanche. With respect to Paris Perfect, your staff is excellent, well trained and very helpful. "We were extremely happy with our decision to stay in an apartment as opposed to a hotel. We felt like we were really living in Paris. The place had everything we needed and was very comfortable and bright. We look forward to returning again." "We could not have been happier with the apartment. We loved it and will be sure to use Paris Perfect when we next come to Paris." "An absolutely wonderful apartment in a great location - quiet yet with all the necessary shops in the area - wine, cheese, bread, fruits and veggies, pharmacy, grocery, etc. The metro is a reasonable distance away and the apartment was clean, neat, and everything worked. It was very comfortable,..."
"My friend Linda and I had a lovely week in the Folle Blanche. During the day, we braved the bus and metro from our apartment to Montparnasse, Le Marais, Ile de La Cite, to Les Champs Elysees and beyond. 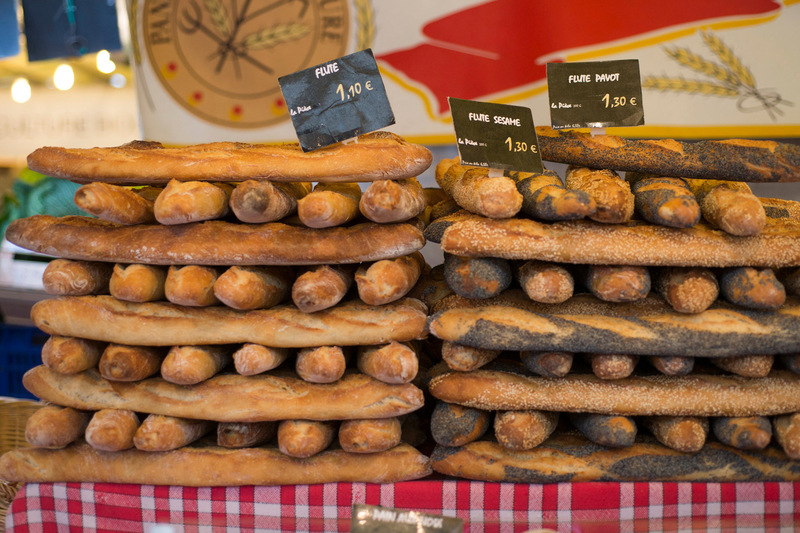 We savored the markets along rue Cler, along with neighborhood patisseries, boulangeries, and..."
"The location of our apartment was absolutely perfect, with easy access to all venues. We loved the neighborhood! A highlight of our week was the masseur you recommended after a day of sightseeing. Also, Le Petit Troquet was a marvelous recommendation from your information. Thank you..."
"This was our second stay at Folle Blanche: each stay was for five weeks. Your staff is excellent, very helpful and responsive. The apartment is clean, tasteful and comfortable. Thank you! See you next year." "As confirmed Francophiles, we've been spending time in Paris at least once a year for some 35 years. Now being of "a certain age," we find recovering from jet lag in hotels a bit of a challenge. 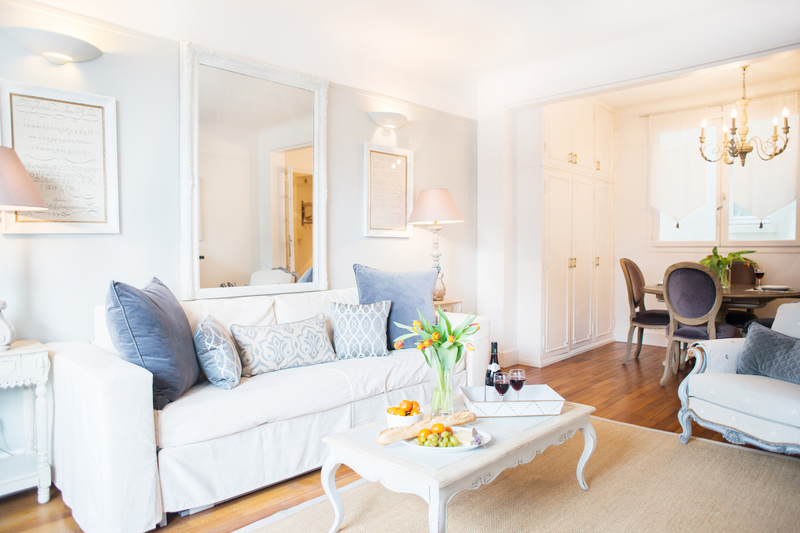 Happily, three years ago we discovered the solution to this problem was to rent an apartment..."
"We had a truly lovely stay at the Folle Blanche apartment located only a short walk from the Eiffel Tower. It was immaculate and very tastefully furnished, not to mention having all amenities. Our daughter loved the Nespresso machine. 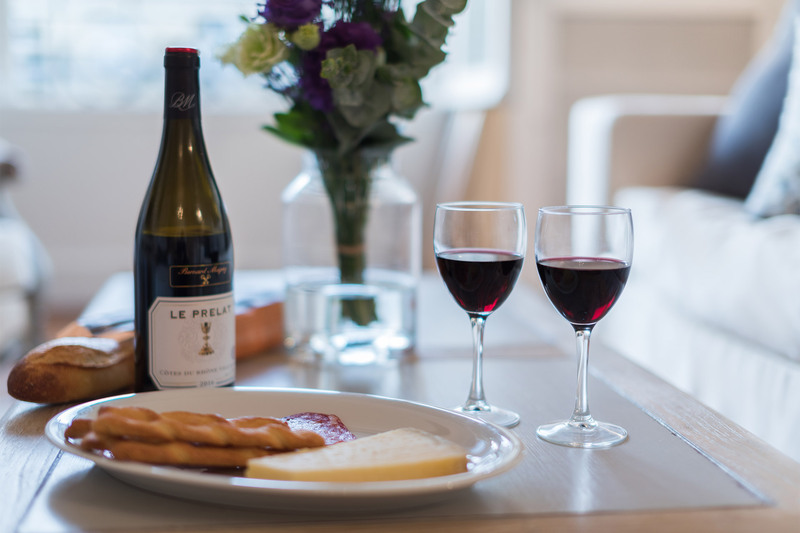 Paris Perfect was very punctual and informative greeting our..."
"I have stayed in many Paris Perfect apartments such as, Grenache, Meursault, Moulin-a-Vent, St. Amour, Cotes du Rhone, Pomerol, Kir, Richebourg and most recently Folle Blanche. Just stay in one and that does it. You are spoiled for anything else! They were of various sizes, so cannot..."
The perfect way to spend 8 days in Paris - Folle Blanche was ideal for mum and dad with our college daughter on term break from University of Sussex, England. We will never ever stay in a Paris hotel again. 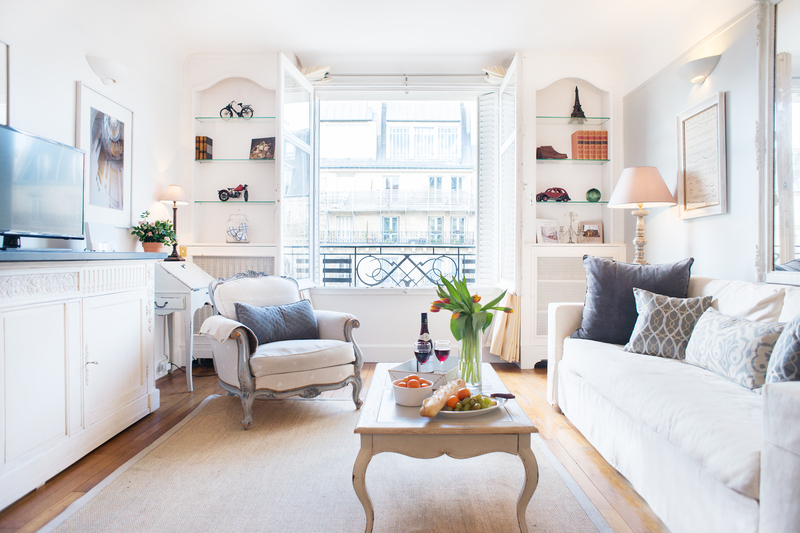 This was living the Parisian life, and all was indeed..."
"We loved this apartment. Everything was perfect. And the neighborhood, with its shops, restaurants, and beauty outlets was also perfect. Thank you for all of the great recommendations that you provided - we had a wonderful stay." "Wonderful. Everything was Paris Perfect. Thank you! "This was our first stay with Paris Perfect and we so enjoyed having our own apartment while in Paris. With the family in Paris, we were able to entertain and enjoy time together. The closeness of rue Cler and its markets, the sights of Paris and the Eiffel Tower were wonderful. Thanks for making..."
"Thank you, Madelyn and the Paris Perfect Team! This is our fifth visit to you, was as perfect as our first and is truly like coming home. Everything was perfect, as always, Paris Perfect - and the last minute changes you accommodated really made this visit memorable. So thank you! The place was marvelous, the ambiance exquisite and French wine accentuated each and every experience. Thank you for helping to make our New Year's magical. Our greeter was a gem, who truly made us feel at home. We appreciate your hospitality and kindness and will..."
"I don't know where to start, it's like you have a dream and everything becomes true! I loved every moment of it. This was my first time in Paris - my honeymoon. Paris Perfect made it more than Perfect. John and I had an amazing experience, we started from left to the right bank..."
"Staying in Folle Blanche was a great experience and we will be back. For the first time we fell in love with Paris - and we have been here before - but always in a hotel. What a difference! Your attention to detail and the comfort of the apartment are much appreciated. "We loved staying in this fantastic area of Paris. Thank you for making our apartment such a comfortable place to return each evening - excellently equipped and great views. We will be back!" 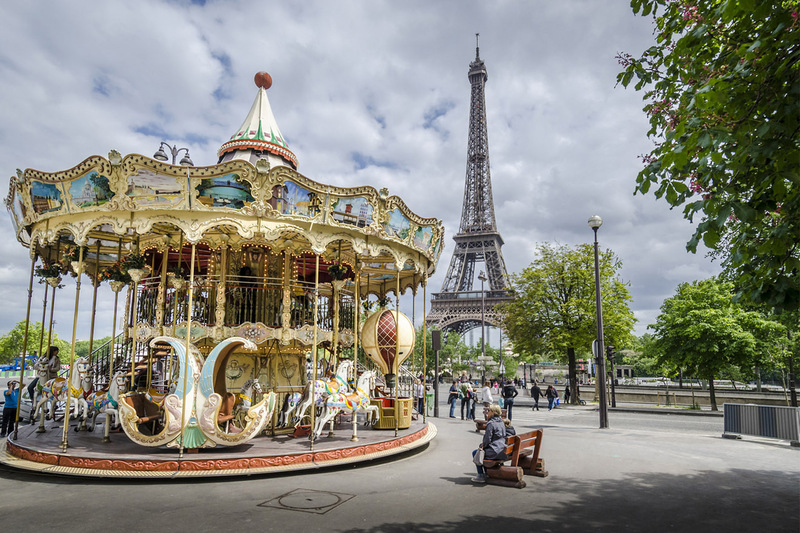 "We enjoyed everything about staying in Folle Blanche - the neighborhood of the 7th, the local restaurant recommendations, the park full of families and, of course, the Eiffel Tower view! Our greeter and the office staff made it very easy to be on our own. We will come again and..."
"We arrived in Paris after a week in the Loire where we both caught a nasty bout of flu. Walking into La Folle Blanche was so refreshing and nurturing for us both. We have taken things quietly, enjoying the neighbourhood and other delights of Paris in a relayed manner. We love this apartment. It..."
"My wife and daughter and I very much enjoyed our stay in Folle Blanche while attending my sister's wedding. The apartment was perfect for us and the neighbourhood was terrific. We look forward to returning soon." "My 3 children (teenagers, actually) and I had a fabulous time. This apartment has a great location and was perfect for us. This was our second time here in Paris and it won't be our last. Our favorite museum was the Musee d'Orsay and our favorite town was the Segway city tour through Fat Tire..."
"My two daughters planned this wonderful trip to Paris without me knowing anything about it. Everything has been so carefully planned, even the weather has been beautiful. The apartment was gorgeous and everything I ever desired - even the cozy bed granted a good sleep. 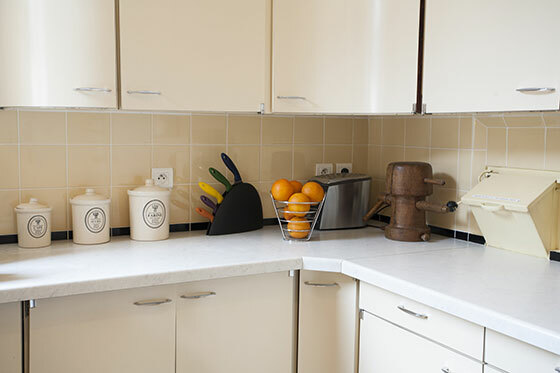 "This was our second apartment that we stayed in while in Paris and we absolutely loved it. With its proximity to various attractions and restaurants. There are many great places to eat but by far our favorite was Gusto Italia on Rue de Grenelle a few stops down from its intersection with Avenue..."
Our stay was amazing! It was our first trip to Paris and we couldn't have dreamt of a better vacation. We brought our two young ladies and believe it was a trip of a lifetime. 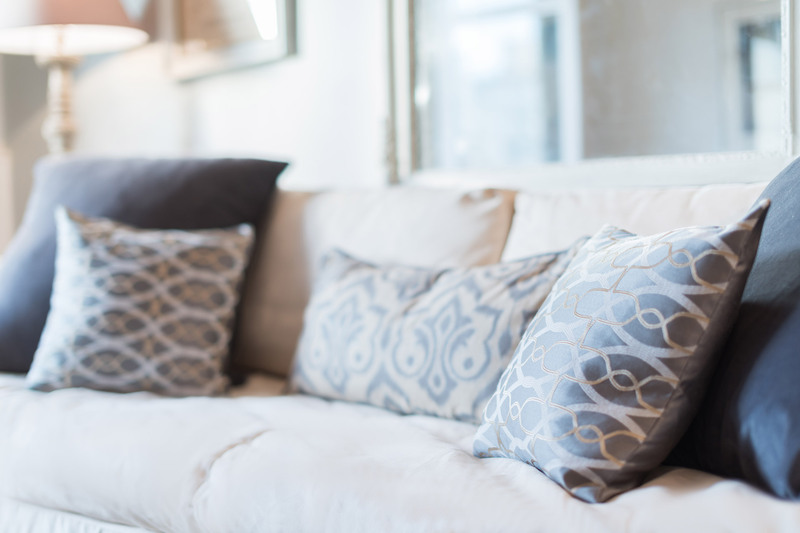 The apartment made us feel at home and the local..."
"The moment I walked through the door at Folle Blanche I knew I had done the best thing possible in renting the apartment. It's my first trip to Paris but certainly not my last. There is so much to see and do that it's simply overwhelming for the senses! What I've loved the most, the..."
Merci beaucoup! This was our first visit to Paris (and France for that matter) and it was all that we had hoped for and more. We had a wonderful time and just hope the rest of our time in France will be as wonderful as our stay here at..."
"This visit was my husband's surprise birthday gift. And what a surprise! The days and nights seemed to fly by with too much space. 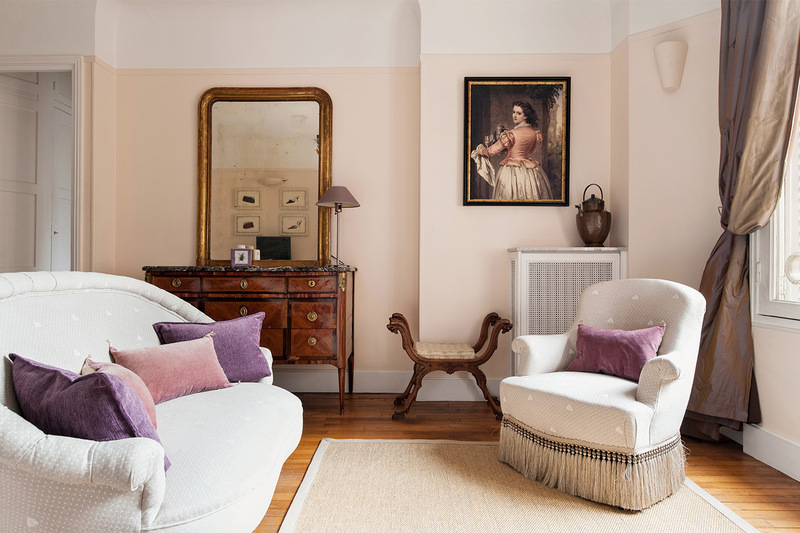 Not enough time to luxuriate in the pleasures of Paris and the absolutely lovely Folle Blanche apartment - a home away from home. To be sure, we will..."
Your apartment made my first trip to Paris wonderful. I felt like I was at home. Everything was clean and comfortable. The Folle Blanche was great! You and your staff at Paris Perfect are friendly and helpful. I loved the yellow direction book. When I come back I will..."
"To all at Paris Perfect! Thank you for all the care you took in preparing the information we needed to have a very enjoyable trip to Paris. We would not hesitate to come again." We travel a lot as a family and it can get very stressful with small children. Our stay in the Folle Blanche was the most marvelous experience so far, by far. 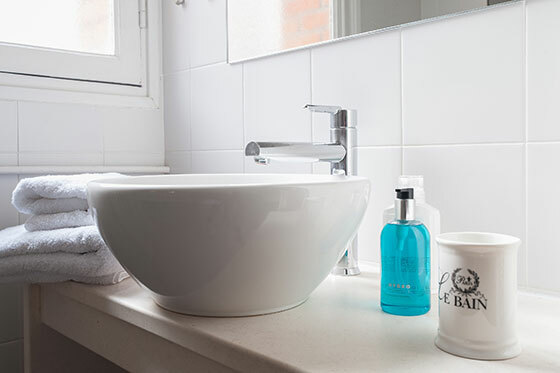 You have thought of absolutely everything...my..."
"This was our fourth stay in Paris Perfect apartments and we felt the Folle Blanche was one of the most comfortable and spacious apartments. We enjoyed shopping in the Marches for our dinners. The evening relaxing and eating in while we viewed the illuminated Eiffel Tower. "I loved staying in Folle Blanche! What a beautiful apartment and so comfortable. You've taken care of every detail, making my stay so much easier than other apts I've rented in the last 6 months. I will definitely return. Many Thanks." "What a fabulous location and apartment. We can't wait to return! 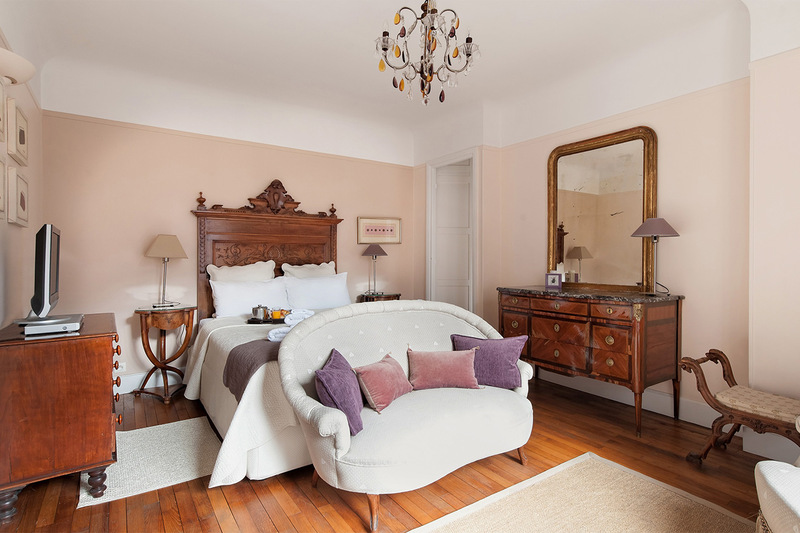 The 7th is a perfect place to stay from rue Cler and the view of the Eiffel Tower's dancing lights to the proximity of wonderful restaurants. Thank you for helping us rediscover Paris in such a special way. A bientot!" This is our second stay in one of your delightful apartments. We stayed in St Emilion in Oct 2005 and loved them both! Your accommodations are thoroughly comfortable and well-equipped. We love the welcome basket - a..."
Thank you for providing us with an absolutely gorgeous apartment in Paris as we celebrated our 40th anniversary. We particularly enjoyed the atmosphere of the neighborhood and the fact that there are four Christian Constant restaurants just steps away from the apartment..."
What can we say other than thank you very much for allowing us such a wonderful experience in Paris. The city was great- but no other memory can come close to having dinner and wine over looking the Eiffel Tower and the city. Our favorite daytime activity was..."
"As we sit here on the night before out departure, my wife and I are commenting on the wonderful time we had in Paris and at your apartment. It is rare to find a destination where everything is just as promised, but we did find that here. Every service and restaurant you recommended was..."
"The apartment was lovely, location an A plus and everything you need was just outside your door. They anticipated all our needs by providing business cards to hand out to our taxi cab drivers so we knew how to get home, to having wonderful soap and lotion in our bathrooms. Well equipped kitchen and..."
"My wife and I along with our two young children were fortunate to be able to spend two wonderful months in Paris from Oct-Dec 2004. Madelyn and Phillipe were very accommodating and helped us plan our stay. 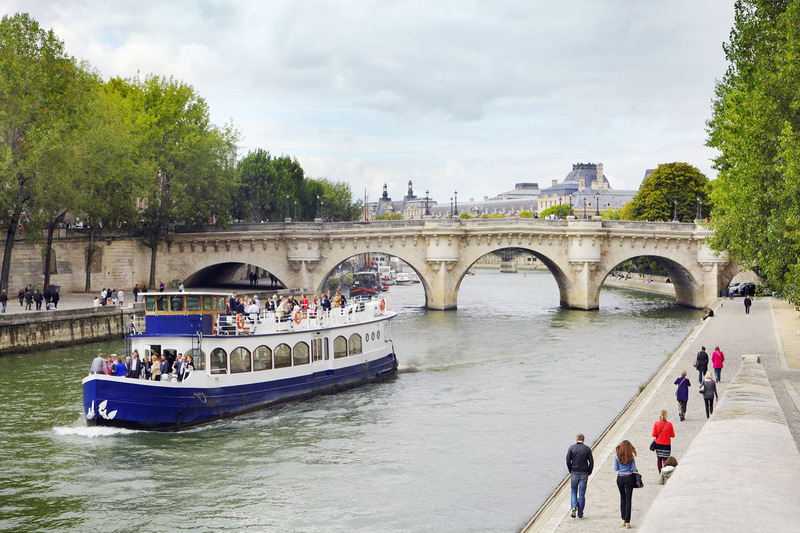 Due to the late notification of our trip and availabilities at the time, we had the unusual..."
Situated in the 7th arrondissement, on the left bank of the river Seine; unquestionably one of the best and liveliest neighborhoods in Paris. 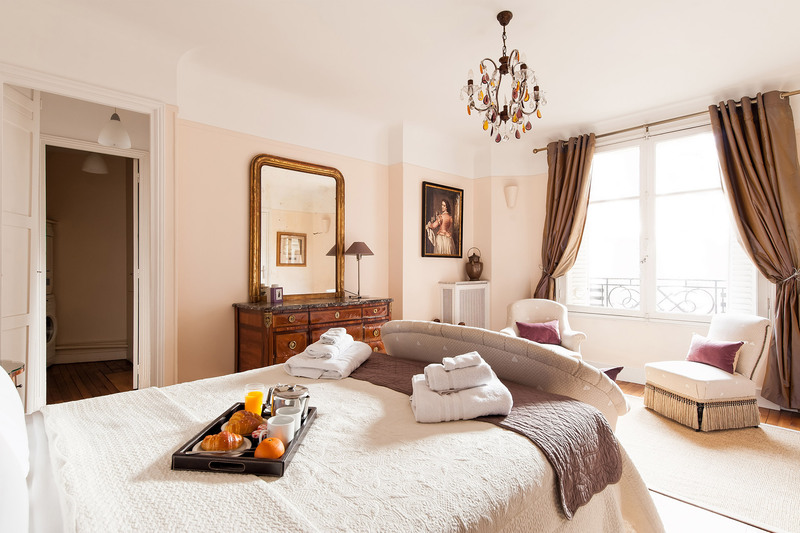 You are a stone's throw from the Seine river and many Parisian monuments. The neighborhood has uniquely retained its village feel allowing you to live 'la vie Parisienne'. 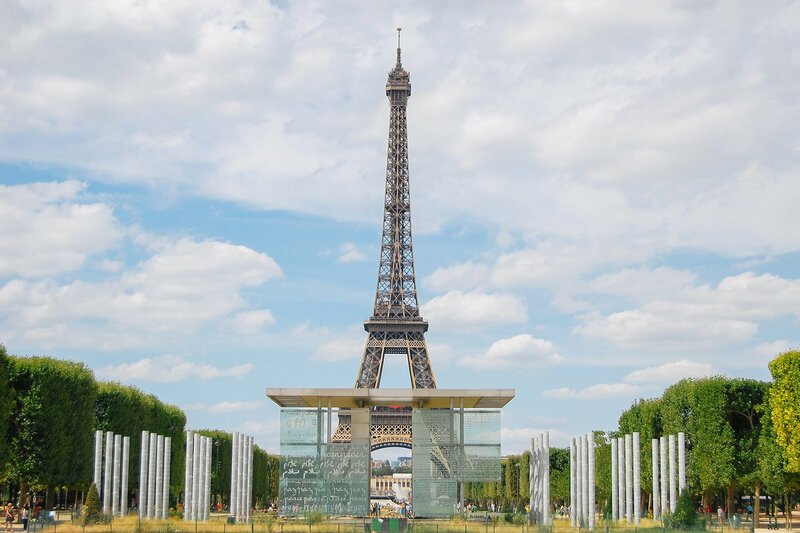 Eiffel Tower & Champ de Mars Park (1 min walk): Visit the iconic Eiffel Tower and join locals for a run around the park or enjoy a picnic in one of the many gardens. Nearby skating and bike rental are also fun activities, especially after strenuous site seeing. American Library (2 min walk): The apartment is near to the American Library, an institution in Paris where you can take out a daily membership and catch up on the news, read, and work and use their internet facilities. 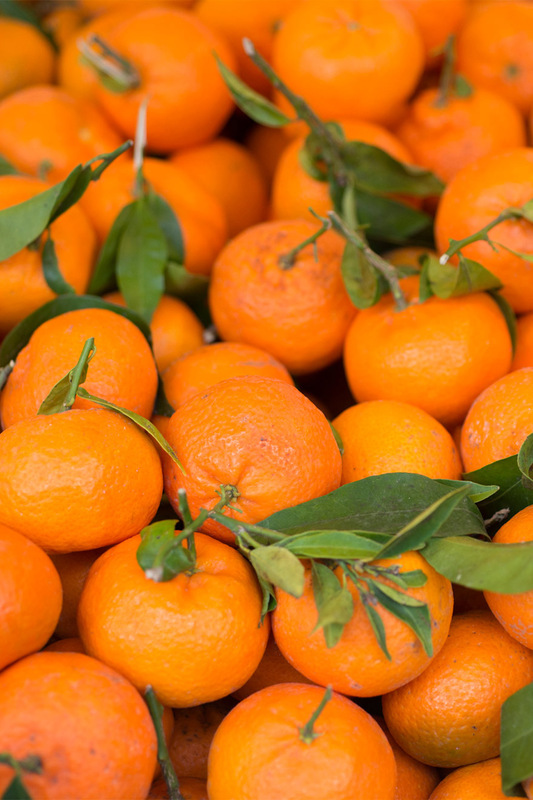 Open Markets (5 min walk): 4 wonderful outdoor food markets in the neighborhood which are famous among Parisians - Pont de l'Alma (5 min walk), Rue de Grenelle (18 min walk) and Ave. de Saxe (20 min walk). The famous Rue Cler is 5 blocks away. Rue Cler (5 min walk): One of the best and most famous streets for food in Paris; open every day including Sunday morning but many shops are closed on Mondays. Our favorite cheese merchant is here; tell them which day you wish to eat it and they will hand pick the perfect selection! Ecole Militaire (7 min walk): This became Napoleon's headquarters and housed his elite Emperor's Troops in 1795. The buildings still show signs of the gunfire from the French Revolution in 1789 and the shelling when the Prussians declared war on France in 1870, to defeat Napoleon III. There are four statues on the façade representing: Might, Peace, Victory and France. The statue of Victory is of Louis XV, one of the only ones remaining as the rest were destroyed during the French Revolution. High Fashion (10 min walk): Grand Couturier's on Ave. Montaigne -- from Dior to Chanel, to Hermes, Givenchy, Valentino, Bonpoint, Ungaro, Ynes de la Fressange, Loewe, Bulgari, Ferragamo, Max Mara, to the outrageous Jean-Paul Gaultier and many, many more. 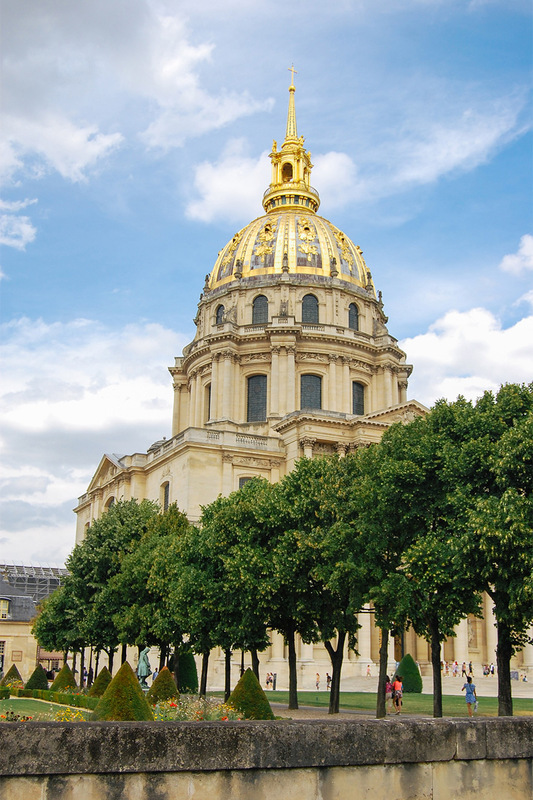 Invalides (12 min walk): A masterpiece of French Classical architecture built by Louis XIV. Napoleon's tomb rests under the golden dome. Here is the Musee de l'Armee, housing one of the finest collection of arms, armor and uniforms in the world. Four Seasons George V, Plaza Athenee Hotel (12 min walk): Relax in either for tea or 3-star dining after a hard day of shopping. You will appreciate even more our luxurious apartments with unforgettable views when you check the prices of their rooms! Trocadéro, Grand Palais (15 min walk). Champs Elysées (17 min walk): Visit the new Louis Vuitton flagship store. Rue de Grenelle (15 min walk): Open on Wednesdays and Sundays. Prices are excellent at this market located in the 15th arrondissement. Rodin Museum (20 min walk): Picnic in the gardens among the sculptures. Ave de Saxe (20 min walk): Open on Thursday and Saturdays and is undoubtedly one of the most beautiful markets in Paris. Find many organic and deluxe food stands. Place de la Concorde, La Madeleine (20 min walk). Rue du Commerce (23 min walk): Near La Motte Piquet metro. Find excellent fresh foods, loads of clothing stores and perfume shops as well as the Monoprix department store (a French Target), with supermarket on the first floor -- good quality and great prices. Department Stores (25 min walk): Bon Marché and Blvd Haussman. Point de l'Alma RER suburban train (5 min walk): takes you directly to Invalides, Notre Dame and more. Bus: Catch the 42, 69 and 87 at the main bus stop at avenue Joseph Bouvard (2 min walk). 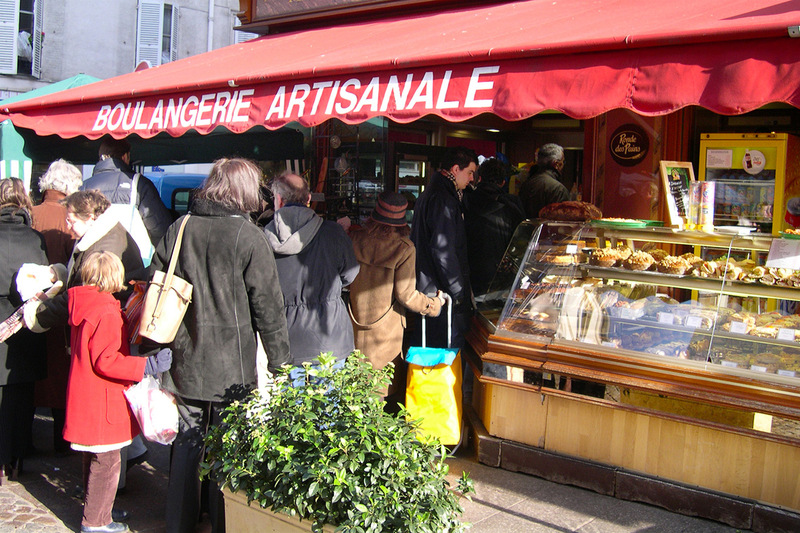 There are also other stops along rue Saint Dominique and avenue de la Bourdonnais. Welcome to our stunning Folle Blanche rental! Toast your stay in style! 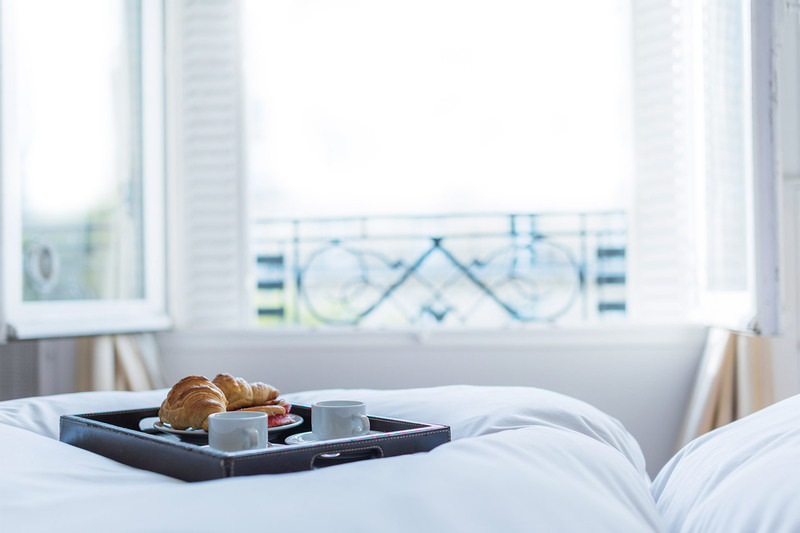 Enjoy your petit dejeuner in bed! 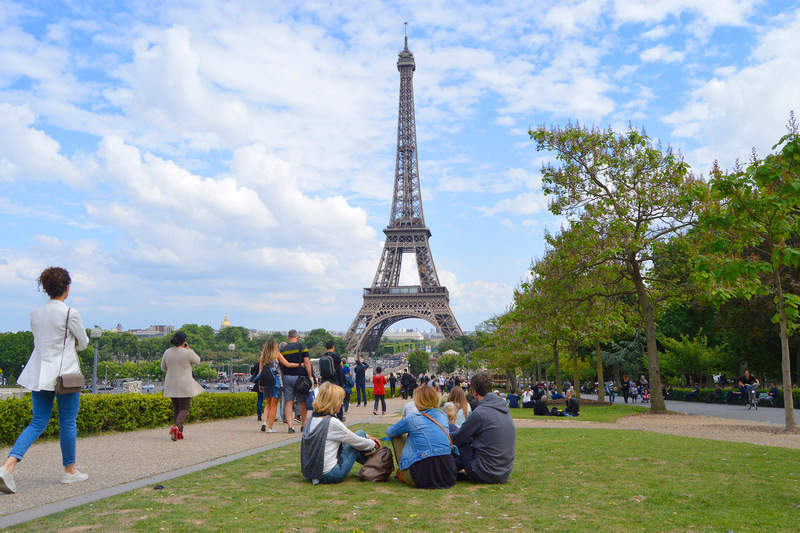 The iconic Eiffel Tower is just a stroll away! 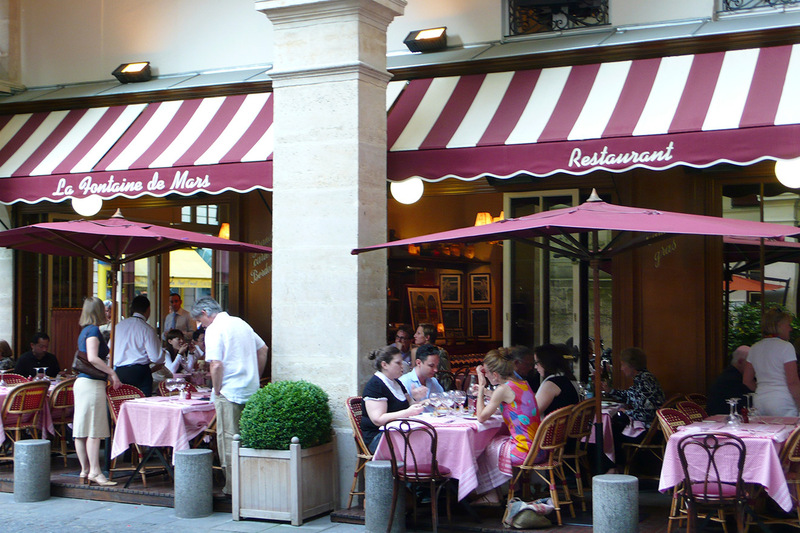 Grab lunch or an apéritif on a nearby cafe terrace. You won't be able to resist the fresh baguettes! 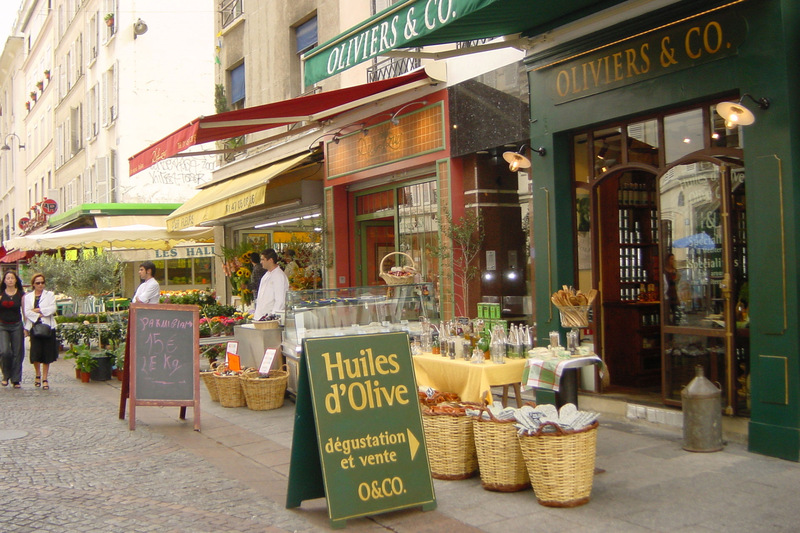 Oliviers & Co - Amazing infused olive oils on rue Cler! This area is known for its wonderful restaurant selection!